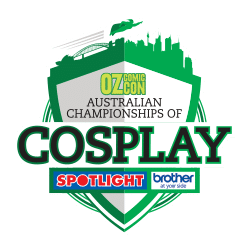 Cosplay Central is the meeting place – the mecca – the hub – the undeniably can’t-miss destination for cosplayers and cosplay fans at Oz Comic-Con! Come meet the local and international cosplay talent in Cosplay Central for exclusive tips, talk about cosplay and even get a photo! Grab your mates and take a photo in front of our curved cosplay sets. The sets feature custom artwork from local artists. Local cosplay photographers will be present, ready to take your photo in Cosplay Central. And the best part? All photo sessions are complimentary! We get it. Sometimes your cosplay goes awry. That’s why we have a cosplay change room featuring lockable rooms, a mirror, water and cosplay repairs! Local cosplayers have donated their costumes for you to see up close in our cosplay display areas! These displays include full costumes as well as incredible cosplay props from talented local cosplayers. Oz Comic-Con plays host to the largest collection of cosplay events and competitions in the country! We have made sure to include something appropriate for all ages – kids, big kids and families! Be sure to check out all of our events below before attending! The Oz Comic-Con Championships of Cosplay is the largest and most prestigious costume contest in Australia! 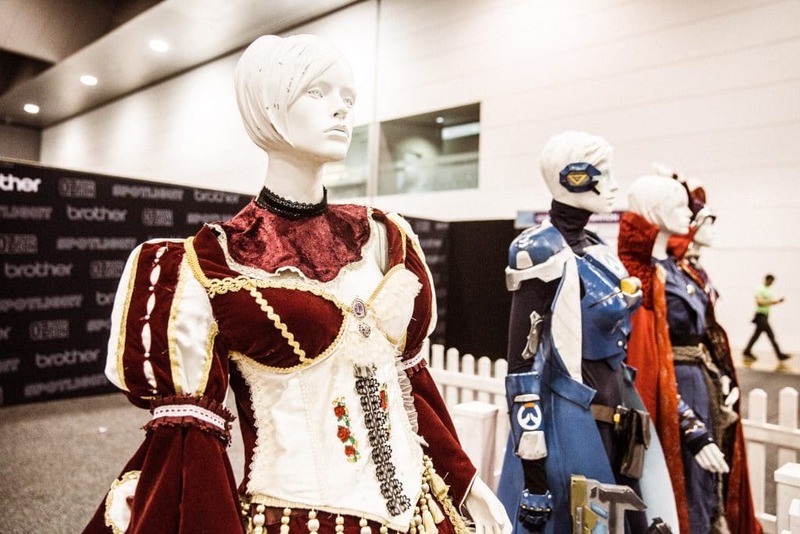 It is the first stop in the “Quest for the Crown”, a cosplay competition circuit that celebrates the very best in costume design from around the world. The overall Australian winner will go on to represent Australia at the 2020 C2E2 Crown Championships of Cosplay in Chicago! More information on the Australian Championships of Cosplay coming soon. Are you ready to be part of the competitive world of Cosplay? Are you a step above the Cosplay Parade but not quite ready for the Championships of Cosplay? 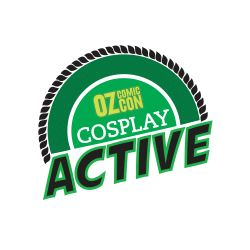 Cosplay Active is Oz Comic-Cons competition for mainstream competitors. This event is perfect for you to showcase your crafting talents or perform a skit and bring along the PLAY part of cosplay! Click the Cosplay Active logo for rules and more details on this event. The cosplay prop competition is the event where your props can get some appreciation. You can enter this event solo or as part of a team (2 people max). 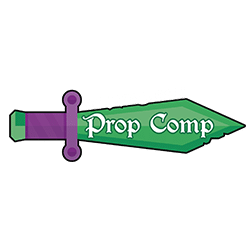 Learn more about Oz Comic-Con’s newest cosplay competition today! 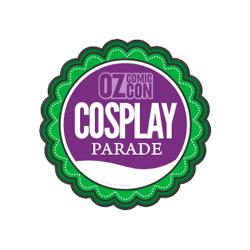 The Cosplay Parade is a great event showcasing the talent of cosplayers at Oz Comic-Con. It gives everyone the chance to get up on stage and strut their stuff. You can enter this as either an individual or as a group and both handmade and store bought costumes are eligible to participate. This event is a great way to build confidence for those wishing to enter competitions in the future! To enter this event just head to the cosplay registration desk located at Cosplay Central before 12:00PM on Saturday and secure your spot. Once you have registered you will be required for marshaling at stage one (1) 30 minutes prior to the event. 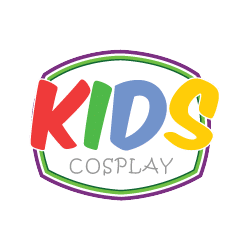 The kids cosplay parade is a great way for our littlest cosplayers to get into the cosplay spirit! Once the parade begins, kids can go on stage either on their own, in a group or for those who are either too little or too shy, with a guardian. All entrants in the kids cosplay parade will receive a special certificate to treasure. Come and see the tiniest and cutest cosplayers all at the one event! Competition entry cut off is by Sunday midday. To enter this event just head to the cosplay registration desk located at Cosplay Central before 12:00PM on Sunday and secure your spot. Once you have registered you will be required for marshaling at stage one (1) 30 minutes prior to the event.